The highly-rated Scotland midfielder was linked with a move to Anfield throughout January but the clubs failed to agree a fee. Adam's agent Kenny Moyes was quoted criticising Blackpool for their handling of the situation, claiming his client had been "seriously mucked about". However, Holloway feels Liverpool were more interested in completing deals for Luis Suarez and Andy Carroll and said: "I think his agent should be very careful what he says, if it's true." He added: "I've already had enough of this Charlie Adam thing. He's my captain and if you look at how well he played last night (against West Ham), for me there's no rush. "The boy will go to a top club eventually but he has to go on the right footing, where they really want him, and to be perfectly honest I didn't feel that was the case. Charlie is someone I care about immensely and I believe he's improving. I believe he's a great professional and I believe he should walk into a club when they really want him. "He shouldn't be third choice, they shouldn't be doing two other deals, Suarez and Carroll, and putting their energy into that and doing nothing for Charlie." Holloway branded the events of transfer deadline day "total madness", but insisted his club had acted in the right way. "The whole thing is sharks swimming trying to bite pieces off my players, and at the end of day Charlie will get what he deserves," Holloway added. "He's still only 25. This is his first season in the Premier League. "I'm very proud of us. The chairman stood there resolute and said, 'That's not good enough'. I think I'll be proven in time that what Charlie will eventually go for will be a decent amount of money for this football club. "He's so important to us and that was difficult for him. It's difficult for all our lads really when you actually find out what other people are paying. Some of the West Ham wages on Wednesday night leave us in the shade by a zillion miles." 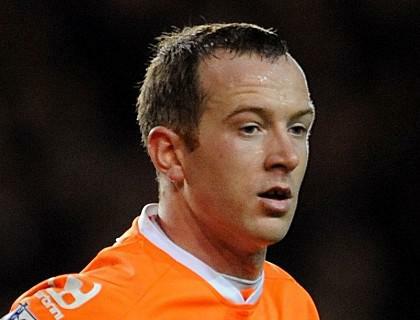 Blackpool manager Ian Holloway hailed the "outstanding" performance of Charlie Adam in the 3-1 defeat by West Ham at Bloomfield Road. The display came just 48 hours after a move to Liverpool or Tottenham failed to materialise on transfer deadline day. Holloway said: "I'm delighted to still have him and I'm delighted the circus has stopped. People were stood outside filming with 35 seconds to go - it's great drama that you make but it is not very nice if you are involved in it. "We have now got to thank the boy for being so good. I don't blame him for thinking about bettering himself because the money everybody else pays is quite astronomical. His time will come but until then he is with us and look how he played for us again - absolutely outstanding." Blackpool's form is now becoming a concern after six defeats in the last seven Premier League games. Holloway added: "To be honest I can't wait to get away from home. All these things are happening in front of our own fans and it is not nice. So, let's get away, play at Everton on Saturday and see if we can stop the rot." Cheltenham Town have extended the loan of Blackpool defender Ashley Eastham by a second month. The 19-year-old has made five appearances since joining from the Seasiders at the start of January. Eastham also had a spell at Whaddon Road during the second half of last season, when he made 20 appearances. Robins boss Mark Yates told the club website: "Ashley has been superb for us and his presence has created real competition for places." Eastham, who has made two appearances for Blackpool, also had a spell on loan at Carlisle earlier this season.